"4 Gang Manschette und Zierblende für Schalthebel, 70 B-Body"
New reproduction pistol grib console shifter lower boot and ring for 1970 B-body vehicles. 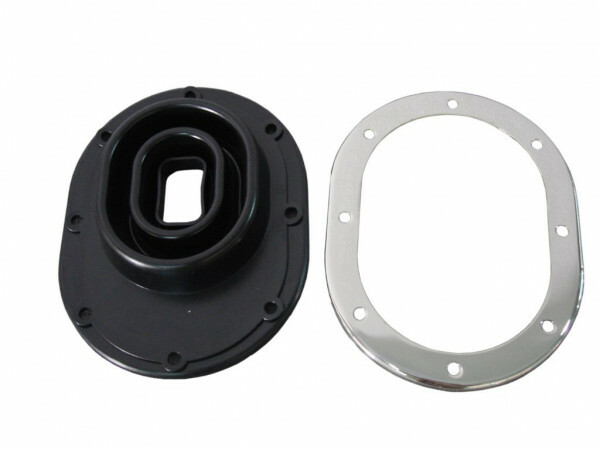 Replace your old boot and trim ring with our reproduction. Made to fit like original with original markings and screw holes.